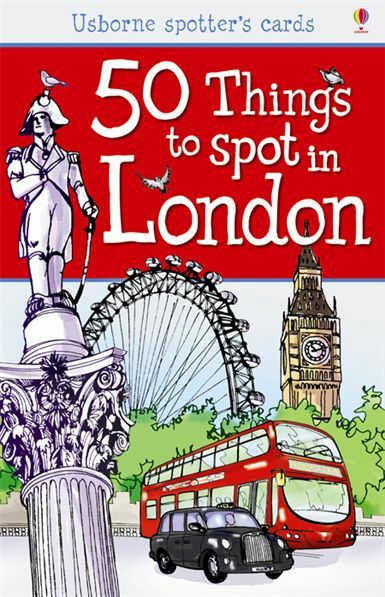 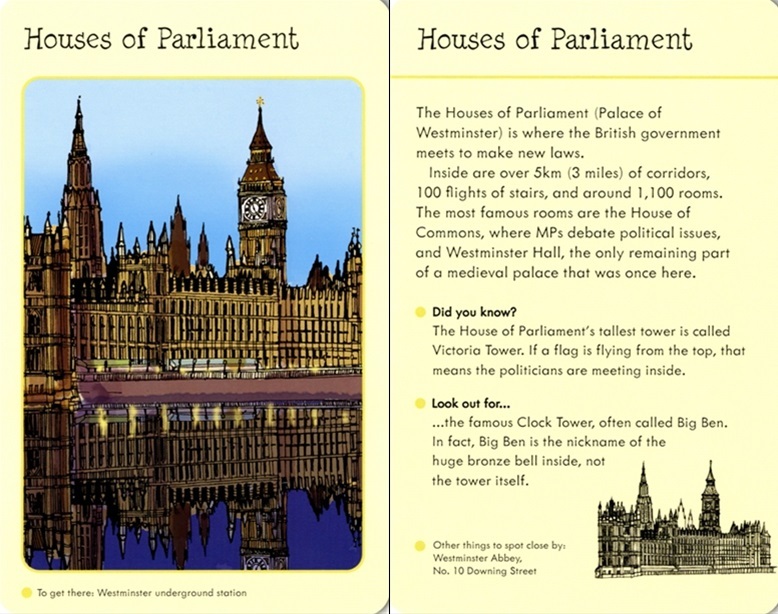 A pack of pocket-sized cards showing fifty of London’s famous landmarks. 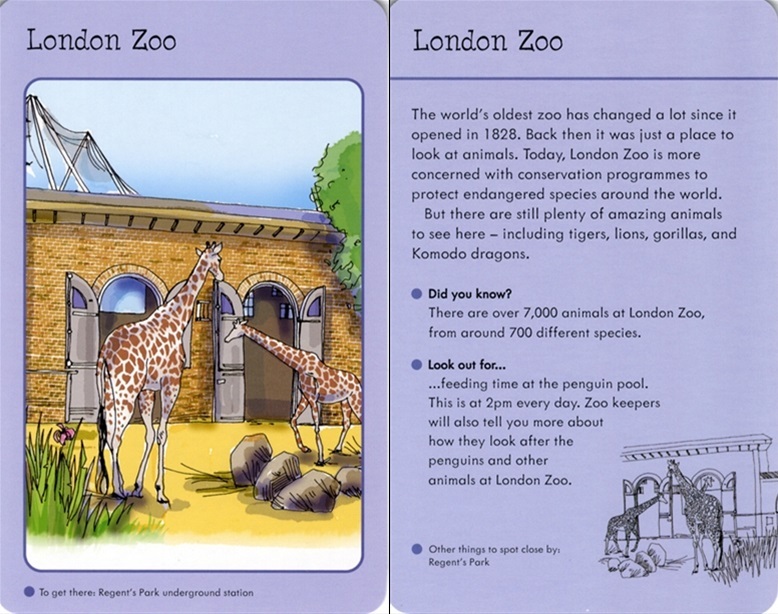 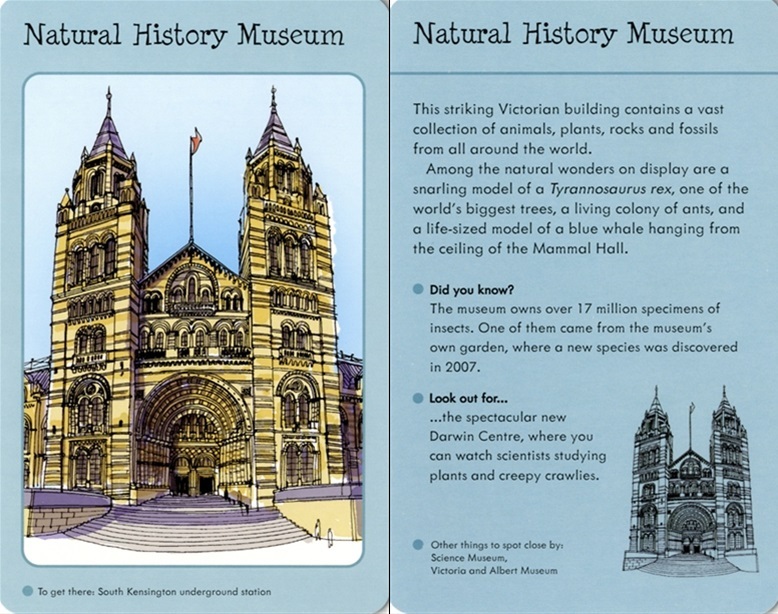 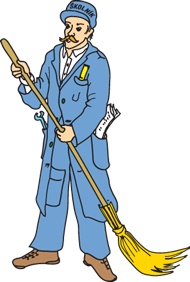 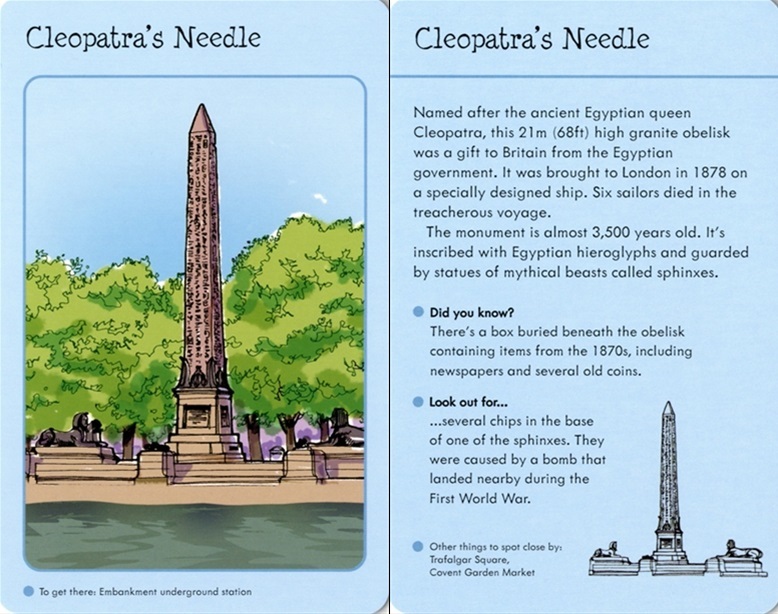 Each card has a coloured illustration of a famous building or place, with a detailed description and interesting facts on the reverse. 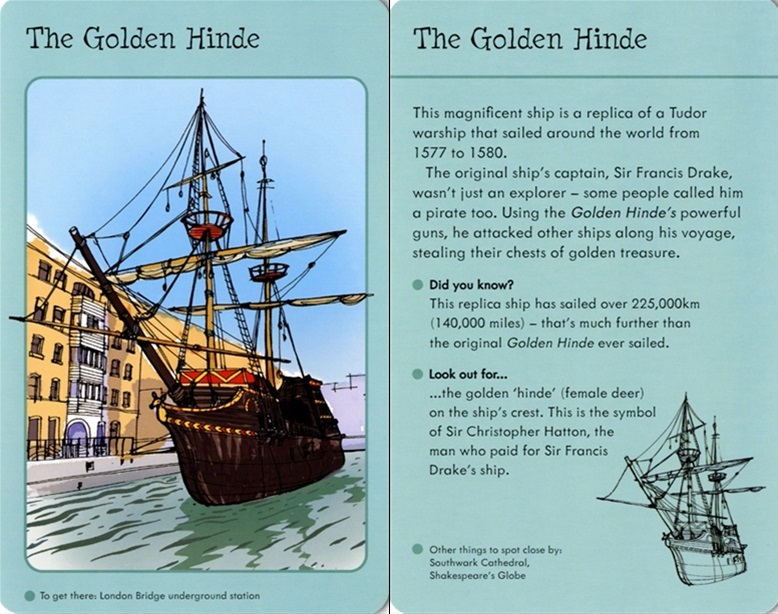 Cards mention other things to spot nearby, and nearest Underground stations and an additional two cards give a brief history of London.